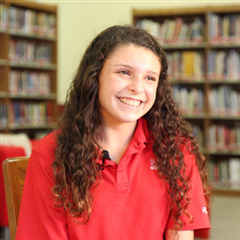 Saint Andrew's is thrilled to be recognized as one of the top private schools in Florida. 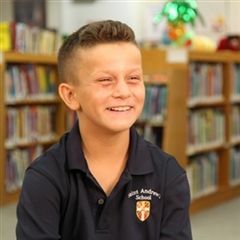 Our school seeks students who have demonstrated a strong academic ability, a high degree of motivation, concern for others, and a desire to become a part of our community in Boca Raton. Our school takes pride in our students' cultural diversity, strength of character, and respect for others. View our Admission Viewbook. 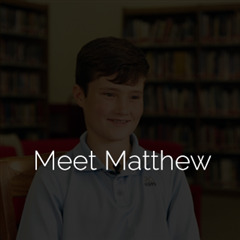 Want to learn more about Saint Andrew's School? 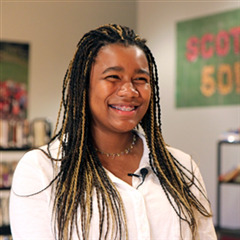 Come visit and take part in our Scot For a Day program, in which students can come to spend a day on campus or any other of our admission events. 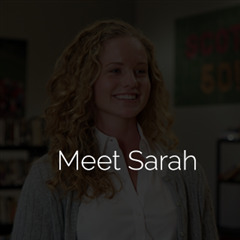 Meet some of our students and find out how they have enjoyed their life at Saint Andrew's. We are so proud of each and every one of them for all the talents and gifts they bring to our school. Go Scots! 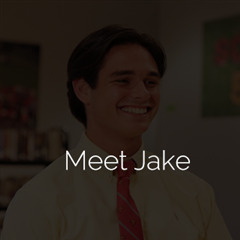 We hope to meet you in person at our Boca Raton, Florida campus and answer any questions you may have about Saint Andrew's School. We also host a variety of events locally and abroad. 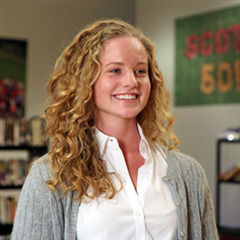 Join us for our Open Houses, Lower, Middle, and Upper School Scot for a Day Shadow days, and School Fairs. Scots are for each other. At Saint Andrew’s School, we know that your child’s education is one of your top priorities, and for most families, investing in an independent school education requires careful planning. 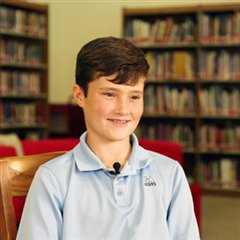 We also know that an investment in your child’s education is an investment for their future, and at Saint Andrew’s, our goal is to make that future a bright one. That’s why we offer a comprehensive financial aid program for JK-12 students and a merit scholarship program for grade 9 students. Each and every one of our Scots families is unique, and with a financial aid budget of over $3.5 million, our hope is that we can help our fellow Scots plan for this important investment. Academic Excellence. Community. Honor. Integrity. Respect. 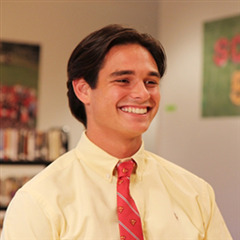 These values are at the core of the Saint Andrew’s School experience and are embodied by our Distinguished Scholars. 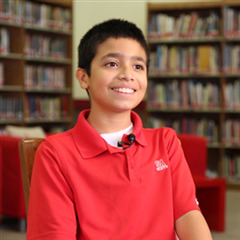 Our Distinguished Scholars demonstrate outstanding academic achievement by combining a strong GPA throughout a challenging Middle School curriculum with standardized test scores that reflect their ability. 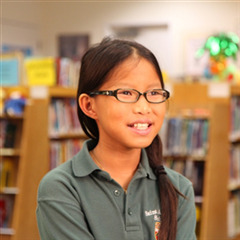 Saint Andrew’s Distinguished Scholars are creative thinkers and problem solvers. They are honorable, respectful, responsible, and strive to be contributing members of their communities. See Additional Details. You get them up, We'll get them here! 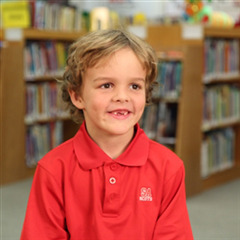 Saint Andrew’s School attracts students from a wide radius in South Florida including such cities as Boca Raton, Highland Beach, Delray Beach, Manalapan, Boynton Beach, Lighthouse Point, and Coral Springs. While many of our students live within a short commute to the school, we offer those who are further the convenience of transportation. Bus departs at 7:30 am from Heron Bay Sales Office, on Heron Bay Blvd., which is the second turn off Coral Ridge Dr. Fee is $1600 per year. Bus departs at 7:20 am from the Macy's entrance at the Wellington Mall on 441. Fee is $1600 per year. Bus departs at 3:40 pm from Saint Andrew's campus to the Macy's entrance at the Wellington Mall on 441. Fee is $1600 per year. The Palm Beach Market Place is on the west side of 95 where Starbucks is located. Fee is $1600 per year. Bus departs from Saint Andrew's campus at 6:15 pm to Palm Beach Market Place on Okeechobee Blvd. Fee is $1600 per year.